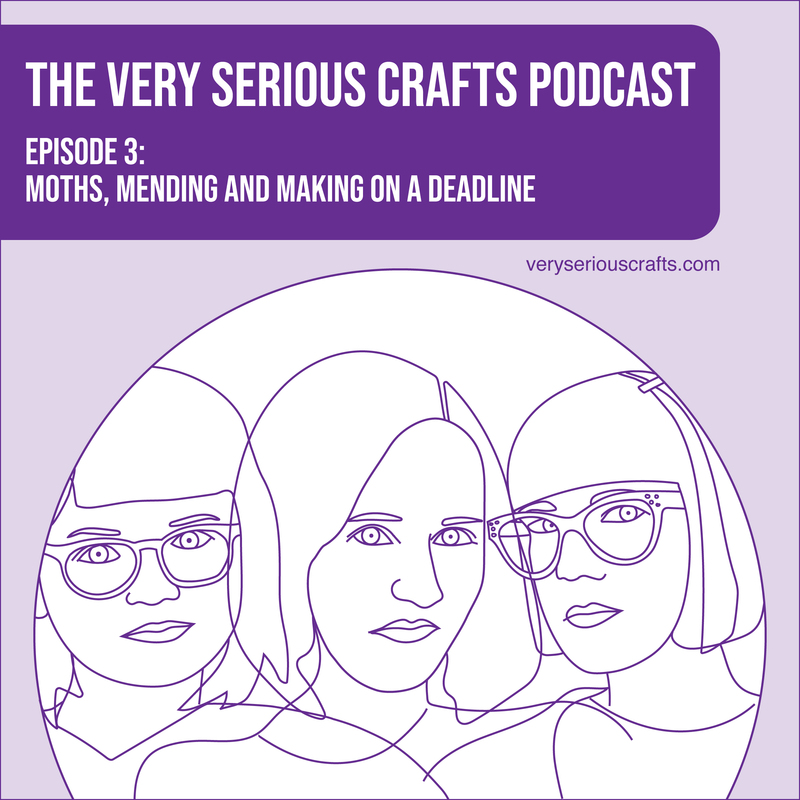 Hello, and welcome to The Very Serious Crafts Podcast, Season 1: Episode 3 – Moths, Mending and Making on a Deadline! Holy cats! How are we already on episode three, friends? Making a podcast is truly a strange and delightful thing, and we’re so glad you’re here this week to laugh (and freak out about moths) right along with us. 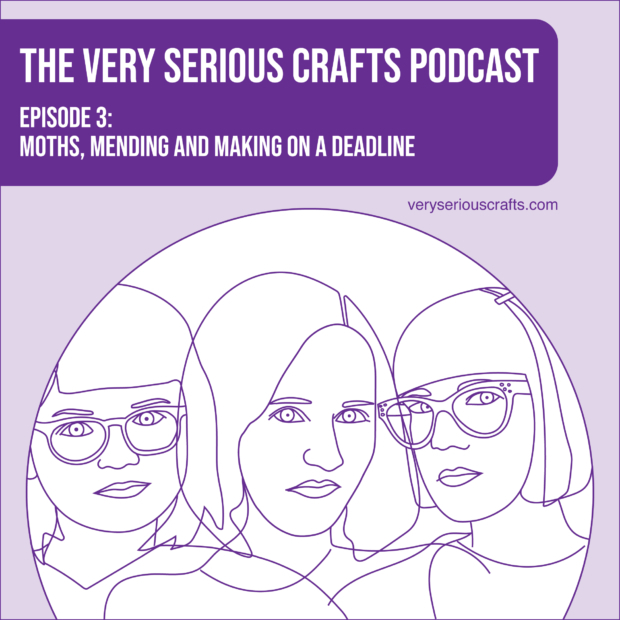 In the Very Serious Crafts Podcast, Season 1: Episode 3, Heidi discusses the pressure of knitting for a special occasion, Mollie shares a vintage visible mending find, and Haley uses a four-letter word: MOTH. 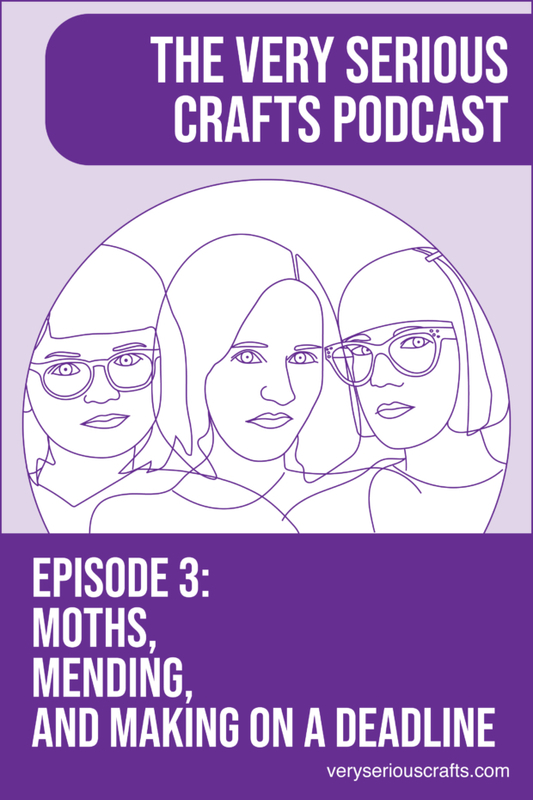 If you’ve listened to the episode and are suddenly feeling an intense urge to moth-proof your stash before starting on your next big knitting or mending project, have no fear! The show notes are here to help.